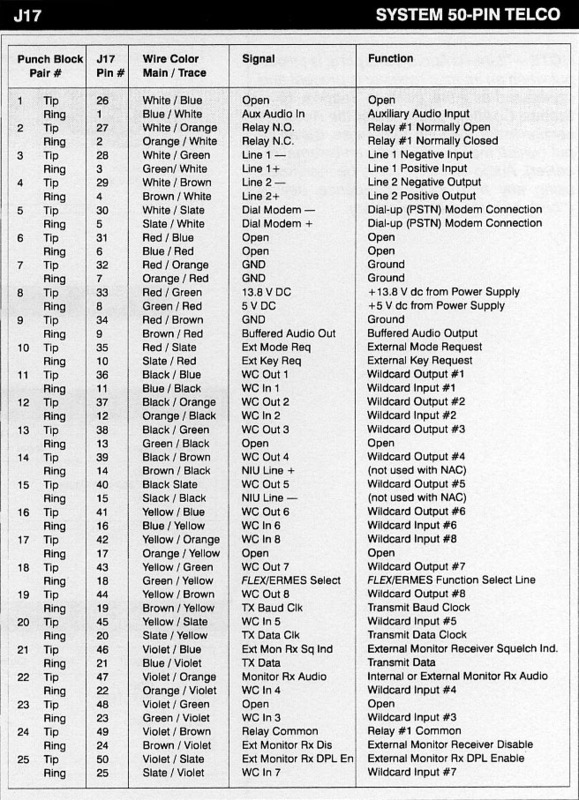 NOTE - “Monitor Rx Audio",J17 pin 47,is an output when an internal receiver is present and configured as a monitor (refer to Section 10 - Station Configuration, under the Receiver section in this manual). Otherwise, it is an input (which may be driven by an external receiver). Audio on this pin may be monitored using any high input impedance device ("bridged" test set termination).